it's done! 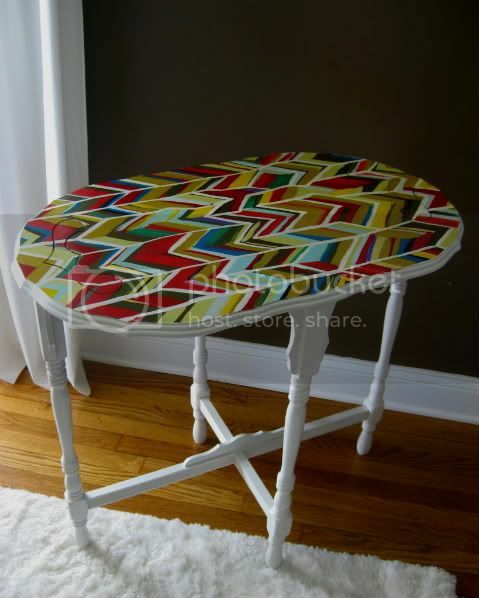 i bought this table for a client, and it wasn't what she had in mind, sooo i was able to do something totally carefree and fun! i tried to just create something crazy that i loved, and not worry about whether or not others would like it. anyway... i find myself very attached to my little arrow table. before: cute, but the finish has seen WAY better days! the top design was (obviously) hand-painted on by me...it's multicolored and sealed with two heavy coats of high-gloss (latex based) lacquer. 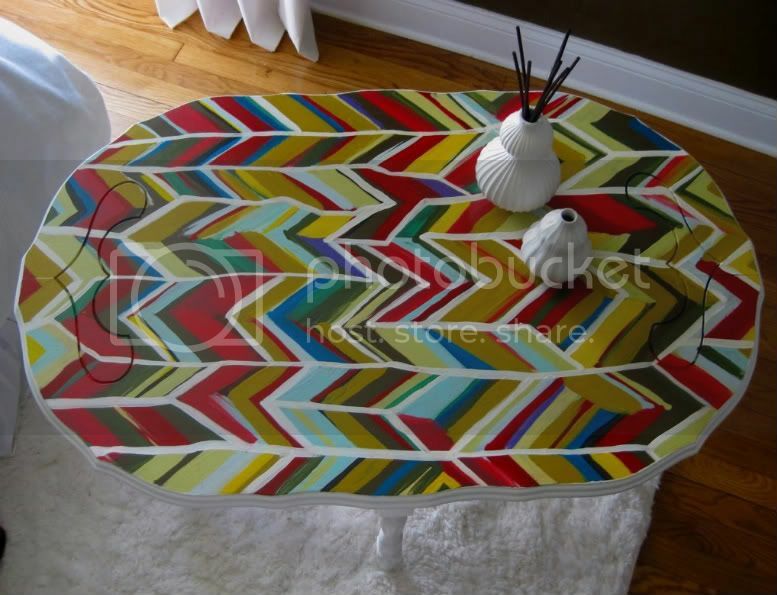 it'd be a perfect little entry way table to throws keys on, use as a vanity, or place photo frames on. it is $200. it's very light, so it's shippable. email me: kristen.fountain@gmail.com for info/purchasing. Very cute! How did you figure out how to make your pictures bigger? it was so much easier than i thought. originally, i thought i had to change the size layout of my blogger settings...which was really confusing me. BUT, all i had to do was upload the photos into my photo bucket account, change the size under "edit" and voila! copy and past the url into your blog and you are done! it hosts it for you. easy peasy. i love this. I would totally buy it in a heartbeat, if i could afford $200 and shipping to the UK!